Via Deluxe, non-smoking, video equipped motorcoach. You choose the departure location! All rooms feature color cable TV, private bath and AC. Free Upgrades to Suites for group leaders at select hotels. Friday night Welcome Buffet featuring hot & cold foods. "All You Can Eat" buffet breakfast on Saturday and Sunday. "All You Can Eat" buffet dinner on Saturday and Sunday. Midnight Buffet on Saturday night at select hotel. 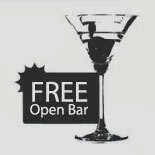 "FREE OPEN BAR WEEKENDS" with Premium Brand Liquors. PREMIUM LIQUORS: Hennessy, Hpnotiq, Absolut, Seagram's, Jim Beam, Bacardi & Much More! DRAFT BEER: Budweiser and Coors Light. WINE SELECTION: Chardonnay, White Zinfandel and Merlot. Soda, Juices and Mixers also provided. DANCING, PARTIES, & NON-STOP FUN! "TDS Welcome Party" with complimentary refreshments. Tours de Sport's famous Friday Night "Jammin Jammie" Party. Saturday Night "80’s Party" - Back by popular demand! "Happy Hour" Parties on Saturday and Sunday afternoon with hot and cold appetizers and FREE OPEN BAR. Live Stand-Up Comedian Entertainment On-site. Karaoke Party one afternoon at ALL hotels. On-site Tour desk for activity sign up and assistance. 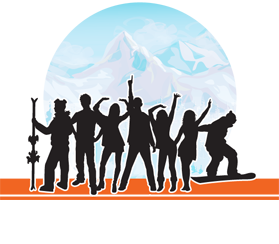 FREE beginner ski lesson on Saturday with the purchase of a lift ticket* at selected ski areas. 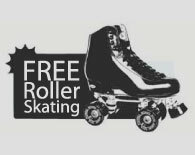 FREE transportation to all scheduled activities* such as Outlet Shopping, Casino Gambling, Snowtubing and more!. Pre-Registration at the hotel and Late Checkout on Sunday. Tours de Sport’s professional staff at the hotel and ski areas during the weekend. 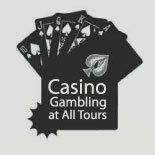 Tour inclusions may differ slightly at each tour hotel. Children under 16 are not encouraged to be in attendance at the DJ Dance Parties after 11PM. Some hotels will not allow persons under 21 to open bar functions. ** Brands may vary slightly at each hotel.